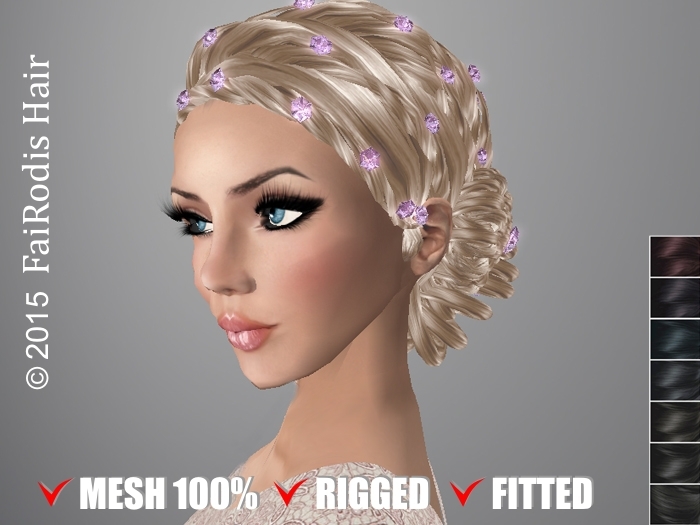 This weekend we got 2 MESH hairstyle colours updates: FaiRodis Dahlia rigged mesh hair black1 with decoration and FaiRodis Alicia hair fitted rigged mesh light reds. Colors and textures are really beautiful! And this is MESH! + hair decorations!